Location, Location, Location...Beautiful view lot with Mingus Mountain views and distant Sedona Red Rock & Sycamore Canyon views. This beautiful home is nestled in the foothills of Mingus Mountain in the new home community called Mesquite Hills. 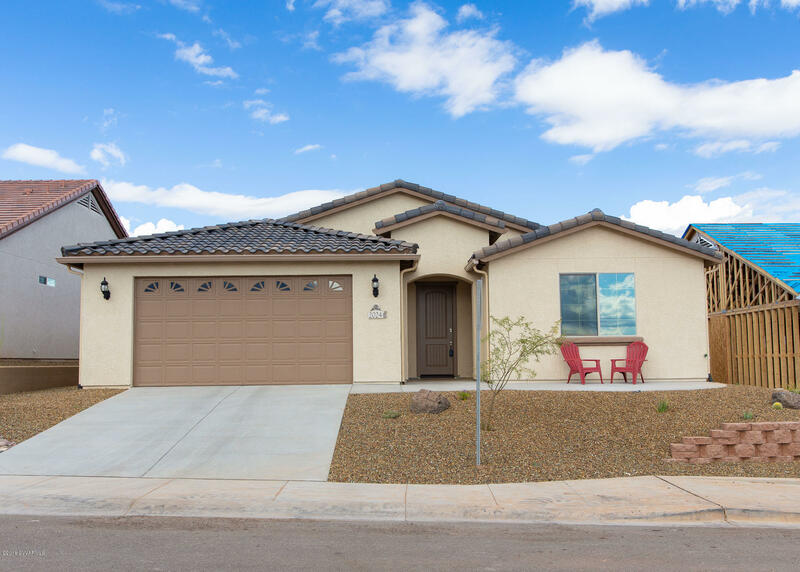 This EnergyStar / EPA Indoor Airplus Certified home features 3 bedrooms, 2 bathrooms, huge oversized 2 car garage Upgraded cabinets in Scottsdale Maple, kitchen & laundry room with utility sink and folding counter. Beautiful wood plank tile floors throughout, bedrooms have upgraded carpet. Master bathroom has a fully tiled walk in shower, dual vanities, large walk in closet and separate water closet. On demand tankless hot water heater as well. Contact your REALTOR today to see this home!